I need $500 to pay the piper. Literally. That’s the last of the $3000 bill for replacing my old water pump and clearing a calcium blockage out of the well shaft. This isn’t just any old well. This well taps into the great Florida aquifer, source of water for South Georgia, Florida, and part of Alabama. One of the most productive in the world, according to the US Geological Survey. Its most predominant cations (positively charged ions) are calcium, magnesium, and sodium. Most common anions (negatively charged ions) are bicarbonate, chloride, and sulfate. Note these are elements, part of nature’s natural cycle. When it comes to the Savannah River, we have a different story. 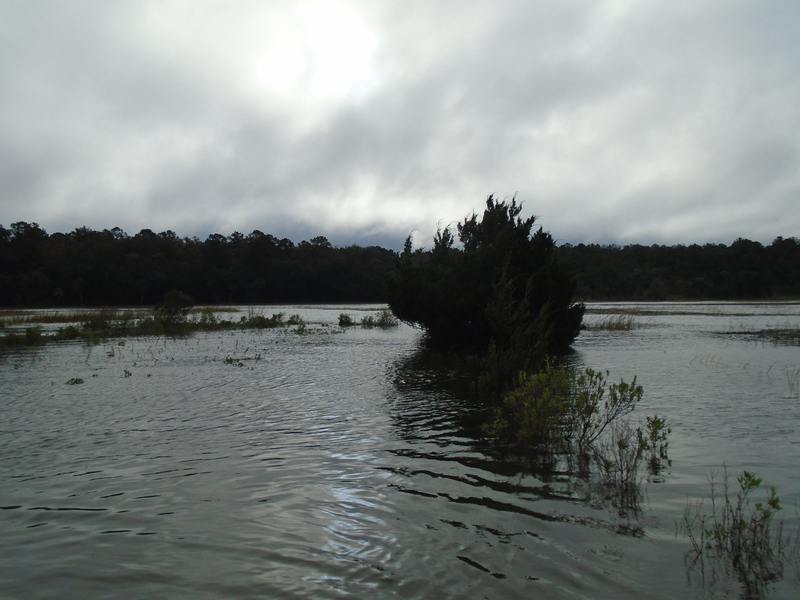 The Savannah River floats atop the Florida aquifer, upstream from me. This puts me in direct line of fire should anything go awry with the much touted Savannah Harbor deepening project. The Savannah River. Hutchinson Island and Convention Center at right. The Savannah River has a sordid history. It is rated among the ten most toxic rivers in the country. It is full of human and industrial waste from the last 280 years. We have an untold number of rusting and decaying pipelines running under the river, pipes that carry an unreported variety of potentially toxic chemicals. We also have the chemicals, litter, garbage, and human waste dumped along its navigable course, all washed downstream toward the ocean. We have the daily oil leaks and other pollution from the nation’s 4th largest port, exhaust fumes, and all the industrial muck generated by modern civilization. The Savannah River supplies the city of Savannah’s drinking water. 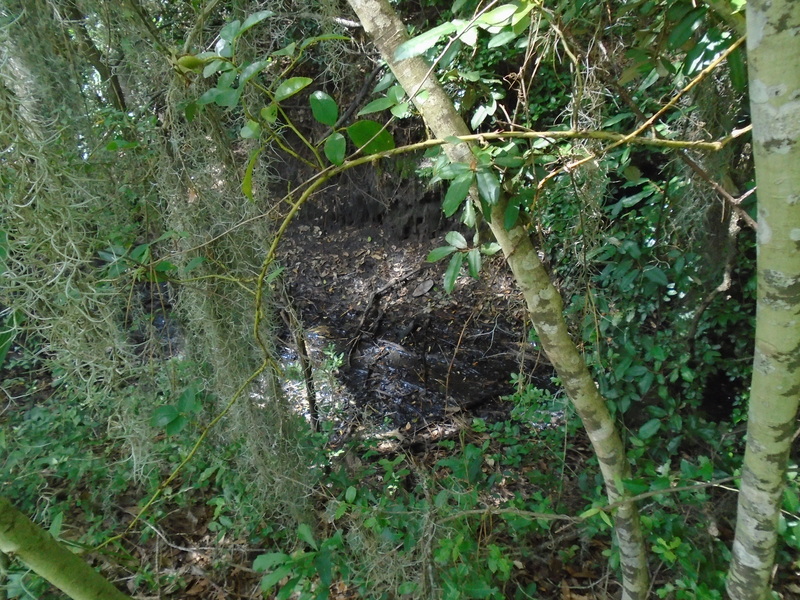 Beneath the industrial pipes and the river-bottom sludge lies the pristine Florida aquifer, source of my drinking water, as well as that of all points south of Savannah. Corporate giant International Paper also gets its water directly from the Florida aquifer, through its eight 6-inch wells. 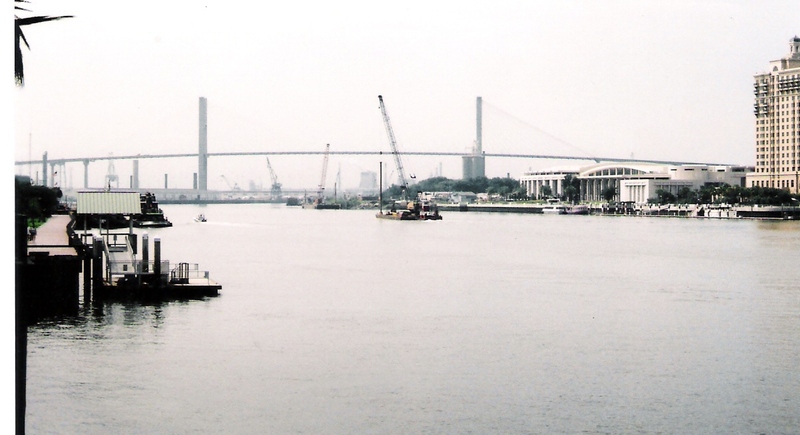 The current Savannah harbor deepening project was initiated by the Department of Defense d/b/a the Army Corps of Engineers, to expand military capacity in the Southeast. This is not stated outright, but one need only look at the multiplicity of military bases located in the area, and the fact that deployments for our interminable foreign wars fly 200 feet over my house. The harbor deepening, which has already begun as I write this article, has a few logistical problems ahead. A primary problem is where the Corps is going to dump six feet of river bottom sludge. The Savannah Harbor is 17 miles inland, and the channel is about 500 feet wide. There is separate funding for Tybee Beach “re-nourishment,” engineered simultaneously with some harbor deepening money by former US Representative Jack Kingston. At the same time, retired Corps insiders worry about intrusion into the Florida aquifer, but this is not discussed in public meetings. 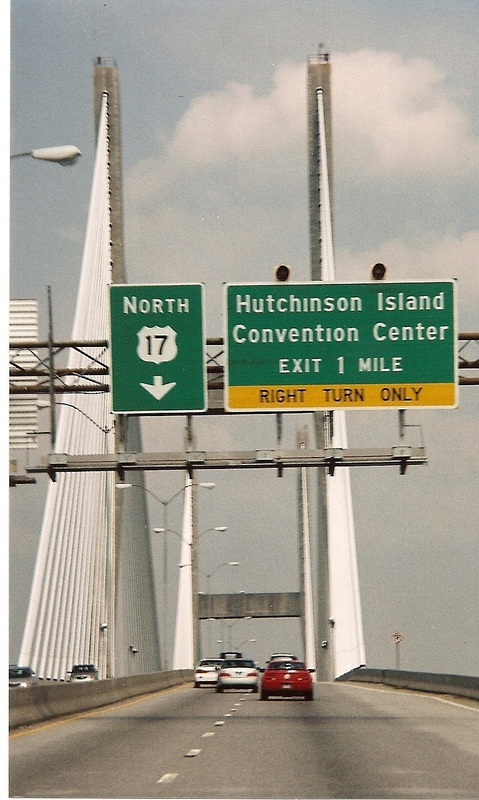 The Savannah Economic Development Authority (SEDA), the Georgia Ports Authority, the State of Georgia, local government, and the Corps have ganged up in support of the harbor deepening. SEDA’s home is on Hutchinson Island, an earlier dump site for Savannah River dredging. Hutchinson Island now boasts a SPLOST-funded convention center and a SPLOST-funded exit off Highway 17, to help bury value in toxic waste. By further deepening the river and dumping toxic waste from the bottom of the river onto an as-yet-undetermined site, the Corps will further concentrate the toxins above land and breed more mosquitoes, now filled with lead, arsenic, and mercury. “Yes, but it’s great bird habitat,” says a retired Corps employee. My point exactly. These mosquitoes are eaten by birds, which are eaten by raccoons, hawks, and other creatures, and up the food chain the toxins go. Remember that mosquitoes carry disease, like West Nile Virus, and a host of other mosquito-borne illnesses. The United States Geological Survey has noted effects of metal contaminants in dredge material, including elevated levels of arsenic, copper, mercury, selenium, and zinc in birds and raccoons, as well as “significantly elevated” levels of cadmium, mercury, lead, and selenium in raccoons, with the bioaccumulation in their livers. And then we have the rats, which carry fleas, eat through walls and wiring, and fill Savannah sewers. Their fleas spread bubonic plague, among other diseases. Ships bring mosquitoes and rats as a part of their cargo. There is no human being on the planet as smart as a rat. If there is food, a rat will find it. They have fleas to feed. But this sexagenarian remembers when we still had lightning bugs and could see the north star at night. Over the years, she has observed the drainage ditches clogging, the mosquitoes growing bigger and meaner than ever, the streets flooding, and the rampant public safety hazards on public land. Streets, sidewalks, curbs, and parking lots are concrete obstacle courses. The Savannah Economic Development Authority (SEDA), the Georgia Ports Authority, Southern Company, International Paper, Imperial Sugar and other mega-corporate air, water, and earth polluters, are fine with poisoning Savannah, since their shareholders live mostly out of town. It appears that since we are busy selling last year’s weapons to our past and future enemies, to stimulate “the economy,” we are heavily invested in suicide. Local officialdom is all for this. Bureaucrats, who work behind the scenes but who manipulate the publically accountable elected officials, can’t be fired, and their tenures last through many elected mayors and county commissioners. Bureaucratic pensions and benefits are also invested on Wall Street, the commodities markets, corporate bonds, and treasuries. But, back to my pump problem . . .
My water pump died at six p.m. on a Friday in July. I saw it coming. Water pressure dropped too fast, and the old pump was working too hard to re-fill the 120 gallon tank. Last fall, the last time I needed pump service, Mr. Turner told me it was only a matter of time before I would need a new one. “The old pumps lasted longer,” he said. 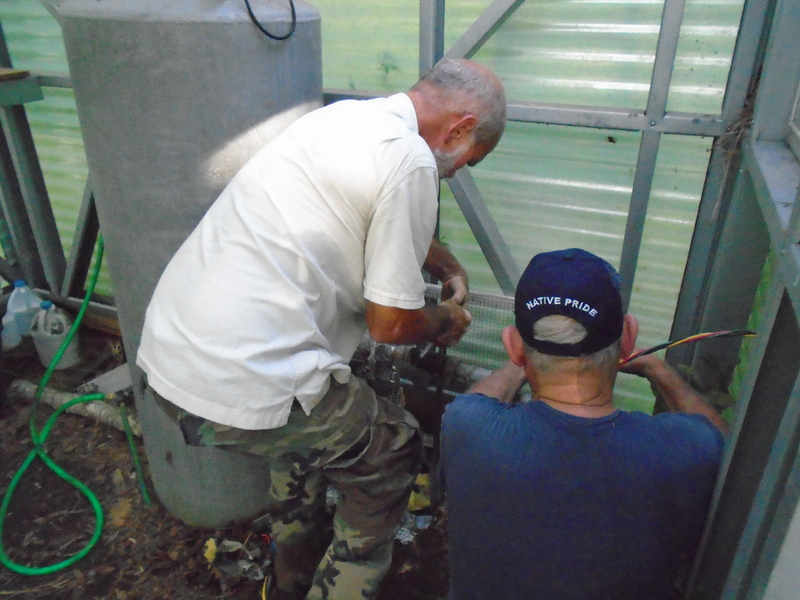 “Now you can expect about a 20-year life span.” He replaced the voltage regulator and used his air compressor to put a head of pressure in the tank. He’s an octogenarian who has been in the business since the 1940s, along with his 76-year-old brother. Mr. T. hoped to retire by the end of the year but despaired there was no one he could recommend to replace him. So when the pump died this time, I tried calling Mr. Turner, but his number had been disconnected. I noticed a small display ad in my old 2011 telephone book yellow pages, for L&S Pump and Well Service. The “24/7 service” notation jumped off the page. At 6:30 p.m. on this particular Friday, I called Louis Smith of L&S. He said Mr. Turner had retired two weeks ago. Louis (Loo-ie) said he would be happy to come to my house immediately, but he would have to leave his granddaughter’s birthday party. I said my problem can wait until the morning. I have jugs of water stored for emergencies. What time in the morning can you come? We agreed to a 7:30 a.m. appointment. He was here by 7:20. Yes, my pump was dead and needed replacement. 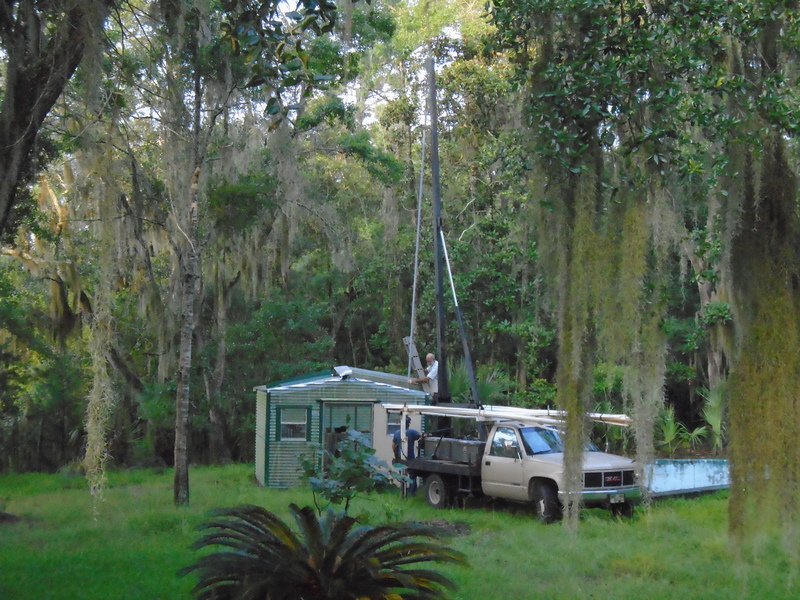 Yes, he would have to roll back the panel on my greenhouse above the well shaft. Yes, he could do it today, but it would take some doing, as suppliers and crew take weekends off. Yes it would cost $2000. He doesn’t usually extend credit, especially to customers he has never met, but I’m land poor, living on Social Security, and can only pay half up front. So he says he’ll do the job, and I say let’s wait until Monday. Enjoy your weekend. I know how to make water last. I also know how to make the most of a difficult situation. I have been particularly interested in water issues lately, everything from the river deepening to the mosquito nest, to Savannah’s clogged drainage ditches, to the nuclear power plants upriver from me. The Savannah River site, home of an old nuclear bomb factory and nuclear power plants, near Augusta, GA and 100 miles upriver from my well, has been cited as the “most severely radiation-polluted place on Earth,” by brainz.org. There are rumors of tritium and other radioactive isotopes downstream as far as Savannah, but this has not been substantiated. At the moment, Southern Company is busy building two new nuclear power plants at this site, the first new reactors approved in the United States in over 20 years. We are already paying in taxes and increased utility bills for this, despite the fact that energy usage is going down nationwide. Southern Company is reporting cost overruns and wants more money. This is a Fortune 500 company, mind you, that routinely reports huge profits and pays large dividends derived from its double-dip into taxpayer wallets. Nuclear power plants use enormous amounts of water for cooling, a third of which evaporates, with the remaining heated water discharged back into—in our case—the Savannah River. Raising the temperature of the water unbalances the ecosystem and contributes to further problems with fish and wildlife habitat. Meanwhile, Atlanta is worried about its drinking water supply. Three states are fighting over water from Lake Lanier, near Atlanta, and the Chattahoochee River that flows out of it. The state of Georgia is considering piping water upstream from the lower Savannah to supply Atlanta’s future water needs. Can you find the drainage ditch? It is impassible. This validates my assertion that my individual problems are intimately connected to the world’s problems. Rather than clear the drainage ditches, including the one alongside my property, our local government purchases helicopters to dump malathion on our collective heads. The Corps pays local government to provide this overkill and to discharge its responsibility for its mosquito breeding grounds. Apparently the Corps has forgotten what its own Walter Reed and William Gorgas discovered in the first Panama Canal project in 1900. Attending to drainage and destroying habitat for pests is far more cost effective and gentler on all of us than the pesticides dumped over the entire coast at random. In an ideal world, common sense exists in the public domain. The drainage method for combating mosquitoes, reducing flooding, and potentially assisting irrigation, discovered by Gorgas and Reed in 1900 and thereabouts, successfully eliminated yellow fever and malaria in this country the first time. 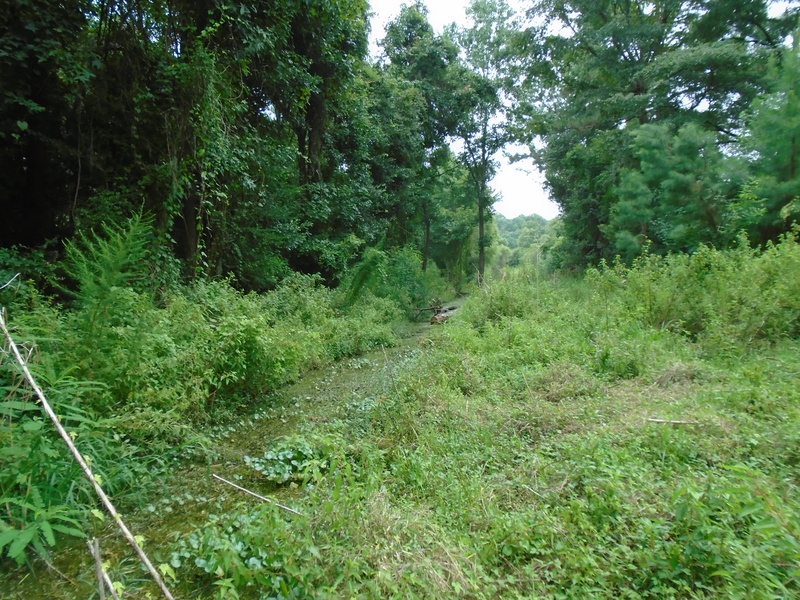 Besides breeding mosquitoes within Chatham County, the clogged drainage ditches and stagnant water contribute to massive flooding, mold, mildew, and a variety of disease-producing microorganisms. 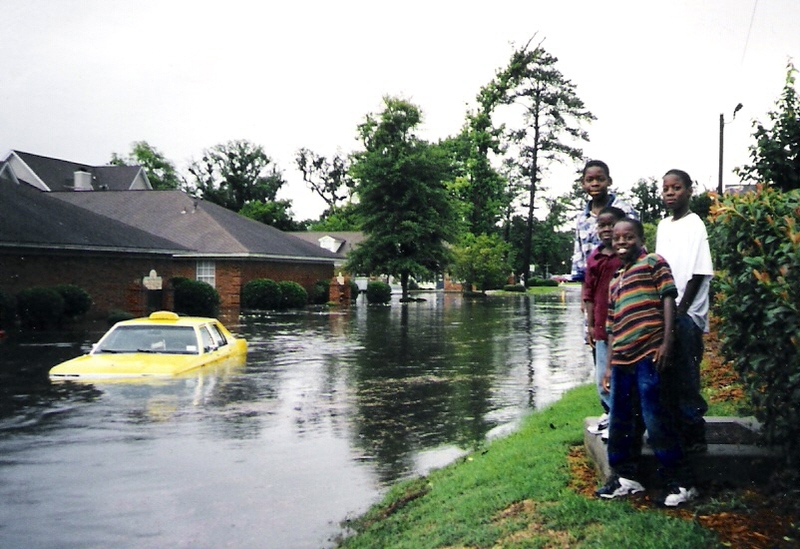 The 12 inches of rain that fell during high tide in 1999 flooded my office on Johnston Street, across Abercorn from 12 Oaks Shopping Center. The site of the flood is now home to two huge new developments, a Hilton, and some huge monstrosity where Konter Realty used to be. This will only exacerbate the flooding problems in mid-town Savannah. Local government, meanwhile, has now extended its water lines into the marshy part of the county where I live, and does whatever it can to discourage private wells. However, considering the high potential of flooding into the county water supply, this taxpayer prefers to keep her private well. Already, 20 years ago, the county was working to ensnare as many taxpayers as possible into dependency on government for water. Even then the bureaucratic hassle for getting a well permit was a nightmare. So back to my current saga, which ended with a sigh of relief, but not before we encountered an unanticipated $1000 problem. On Monday, Louis and his helper, Roy, arrived at daylight. The weather was hot and muggy, already 83 degrees. They worked quickly, unscrewing the fiberglass panel over the well shaft, pulling up the old pump, and putting the new one down. Water gushed and stopped, gushed and stopped. This happened repeatedly, at which point Louis finally determined there was a blockage in the shaft. He rubbed his head and looked serious. “You might have to get county water, after all,” he said. He added he might be able to clear the blockage, but he would have to find a welder to make a special bit to drill through the deposit, and that it would cost an extra $1000. Knowing what I know about county government, and knowing it would cost at least that much to run a pipe from the county’s water line, I urged Louis to try to clear the blockage. He left for lunch and to find his welder, and I left for errands, wondering when, if ever, I would have running water again. By the time I returned from errands, he and Roy had cleared the well shaft, and water was gushing out of the well. They had removed a calcium deposit at 185 feet in the 300 foot shaft. The water level was at 57 feet. He showed me the bit, which was four inches in diameter, with teeth on three rollers that ground down the calcium. But here’s the real kicker to this story. Louis looked confused when I mentioned his ad in the yellow pages. It seemed he didn’t know what I was talking about, so I went to look for the ad and couldn’t find it. I wondered if I had the wrong phone book, checking several pages, over and over, but the ad I so clearly remembered—and used to call him the first time—was not there. His listing, I discovered, was on an entirely separate page from all the other well drillers and servicers, but there was no ad. He had told me the phone company had done him dirty, and now I understand what he meant. Lucky for me—and for him, I suppose, once I pay him off—that the phantom ad brought us together. This entry was posted in Environment and tagged Environment, mosquitoes, public health, Savannah, Savannah River, Water on November 7, 2015 by katharineotto. Sounds like you had the right guy to solve the problem. Water is crucial to us too where we are. We have our own well and should never complain when it rains so much as so far all has been well! Thanks for following and that malathion sounds bad. Maybe none wants to do the dirty work of clearing the ditches anymore? Funny you should ask that. I just met my new neighbor today. Over the past few months, I have listened to the bulldozers and graders take out all the trees between his house and the road and lamented that maybe he was developing that spot. But next, I see a lake, with kayaks, and green grass sloping down into the water. Great, I thought. He is doing his part to solve the drainage problem. No massive concrete swimming pool, but a natural lake. So I’m riding my bicycle today, wanting a closer look, and to introduce myself to this simpatico neighbor. A huge vehicle pulls up behind me. I pull over and wait to meet driver. The vehicle stops, and I’m looking at a beautiful, dark haired woman of about 35. I say I’m your neighbor blah blah, and compliment her on the lake. She tells me she and fiancé are getting married Sunday, they’ve been together five years, and she’s always picking up litter along our shared avenue. I mention bicycle and kayaking clubs to collect the litter ourselves, deliver it to a county commission meeting and submit a property-tax abatement request for doing the county’s job for them. My new half-my-age generation neighbor loves the idea, so we’re going to start coffee clatching when the wedding festivities have subsided. Another opportunity to embarrass the tax collectors into behaving. That’s so good to have good neighbours! I am blessed with one too in the next valley to us. Love your approach to litter. It’s always so bad along the beaches in Portugal but the local communities come out and do big litter picks after the tourists have gone!